Egypt's health ministry has said that a 66-year-old Egyptian pilgrim died in Saudi Arabia ahead of the annual hajj pilgrimage, which is due to begin on 19 August. The death of the man, who died in the city of Medina after falling into a coma due to hepatic failure, brings the death toll among Egyptian pilgrims in the Saudi kingdom this hajj season to five, the ministry said in a statement on Friday. Deaths from heat exhaustion, fatigue and natural causes are not uncommon among pilgrims on the hajj in Saudi Arabia. Last year, 110 Egyptians died of natural causes during the pilgrimage, according to figures released by the health ministry at the time. More than one million Muslim pilgrims so far have arrived in Saudi Arabia to embark on this year's hajj pilgrimage, due to take place from 19 to 24 August, a Saudi hajj security official said in TV comments on Thursday. All capable Muslims are required to perform the hajj pilgrimage, one of the five pillars of Islam, at least once in their lifetime. Saudi authorities said more than 2 million Muslims from around the world took part in last year's hajj. 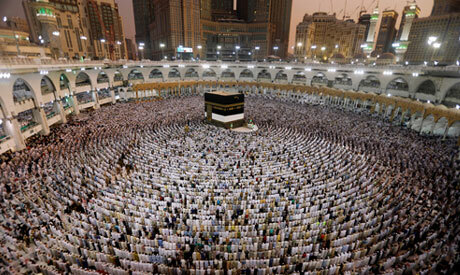 Around 80,000 Egyptians are expected to go on hajj this year, Egyptian officials have said.